Taking care of a new tattoo as is important as choosing the right tattoo artist and the right design. A reputable tattoo artist will give you detailed instructions on how to take care of your tattoo and you should follow those tried and tested instructions very carefully. Post tattoo care is a little bit like having a warranty. If you do not follow your post care instructions then your tattoo artist may be less willing to make any free touch ups if required later on. Your tattoo artist is going to want your tattoo to look as perfect as you want it to look, it maybe your tattoo but it is the artists work, their reputation is also at stake if it does not look as good as it can. Although each tattoo artists will give you slightly different advice about how to look after your tattoo, there are some general rules of thumb that most tattoo artists agree on. When your tattoo is finished the artist will clean the area and apply anti-bacterial cream. For the first twenty four hours after having your tattoo is it wise to not remove the bandage the tattoo artist will apply. The temptation to keep sneaking a peak at the tattoo and showing off your new artwork to friends and family must be avoided. The bandage provides a barrier between your broken skin and airborne bacteria. Two hours is the very minimum you must keep your new tattoo covered. The best sort of bandage to use is a non-stick bandage that will allow the tattoo to breathe, however it must be thick enough to protect the skin from bacteria and any bumps or scrapes. ABD wound dressings are a good choice as they are very absorbent meaning they can be left on for up to twenty four hours. 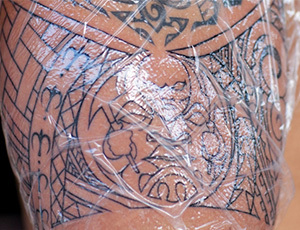 Some tattoo artists prefer to use plastic wraps on new tattoos as they can be removed without sticking to the skin. Plastic wraps block any bacteria from getting to the skin. The down side to the plastic wrap is that it does not allow any healing oxygen to come into contact with the skin and this method will seal in any bacteria found on the skin. Plastic wraps tend to head the area and encourage the growth of bacteria so if you use this method you will need to change the dressing and clean the area more frequently than if you had used the bandage method. While plastic wraps must be taken off after a maximum of two hours, a bandage must be left on for a minimum of two hours and up to twenty four hours. The time your tattoo artists will recommend to keep your new tattoo covered will depend upon the size, position and your individual level of seepage. When you come to remove the bandage it is a good idea to soak it in warm water before you take it off to prevent it sticking to your skin. Once you have removed the dressing you can wash the tattoo in lukewarm water and mild antibacterial soap. Gently rub the tattoo to remove any blood or leaked ink, this will prevent the tattoo scabbing prematurely. 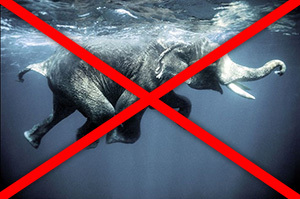 Do not use any kind of wash cloth or sponge to clean the tattoo as they are known to carry bacteria. Try to avoid tap water going directly onto your skin, especially if you have high water pressure, as this can damage the tattoo. Instead put your hands under the stream of water and then splash it over the tattoo. Once you have washed your tattoo you can gently pat it dry with a paper towel. 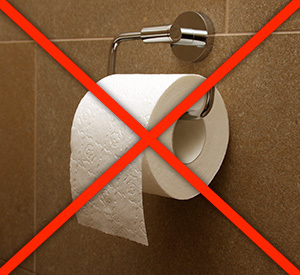 Do not use flimsy tissue or toilet paper that will stick to the tattoo, and then let your tattoo air dry. 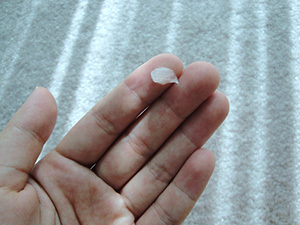 Once your tattoo is completely dry and you can feel it start to tighten, you can apply an ointment such as Bacitracin. Rub in the cream very gently and only until it has been absorbed by the skin. Use the cream sparingly or it will act in the same way as the plastic wrap and trap bacteria and encourage its growth. Do not use Vaseline on a new tattoo, it is too heavy and again has the same results as the wrap in terms of trapping bacteria and not letting the skin breathe. You should wash and apply cream to your tattoo three to six times a day. Continue to use anti-bacterial until the healing process is complete. If your tattoo is on your hands and feet, areas that are exposed to more germs, you may want to increase the amount of times per day you clean your tattoo. Most tattoos will fully heal in between two and four weeks. During that time some flaking and peeling is to be expected. If cloudy or white patches appear on the tattoo do not be tempted to pick them off. Do not be tempted to pick at or scratch your tattoo, pulling off scabs can leave white patches on your tattoo. Avoid tight fitting clothes in the area you have had your tattoo. Clothes may stick to your tattoo and ink leaking out of your tattoo can ruin your clothes. Until your tattoo is fully healed you should avoid soaking in the bath for long periods and swimming in either a pool or in the sea. Exposing your tattoo to too much water will draw the ink out of the skin and secondly the water in pools and the ocean can contain chemicals and bacterial, both potentially harmful to your tattoo. You should also avoid steam rooms and saunas as the moisture can draw the colour out of your skin. It is best to avoid direct sunlight on your tattoo for at least four weeks, after that in order to preserve the colour you should always use the minimum of a factor 30 sun block to prevent fading. If you have had a tattoo closet to your joints or a large tattoo that covers a big surface are you may want to avoid working out to intensely as the movement can cause the skin to crack. If you are involved in contact sorts it is a good idea to ensure your team mates know which part of your body to avoid.